It’s gold rush time in Blackpool, and guess who’s shitting golden nuggets? Tucked away in the BBC’s history there is this little show by the name of Blackpool. It’s an offbeat, sometimes hilarious, often dark and occasionally musical hidden gem of a TV show. The main character (but by no means good guy) is Ripley Holden, played by The Governor himself; David Morrissey. Ripley is a complicated character, a family man, entrepreneur and anti-hero of the series. The supporting cast includes Sarah Parish, as well as some familiar British actors such as Steve Pemberton, David Bradley and John Thomson. As well as this, to provide the conflict for Ripley, there is D.I. 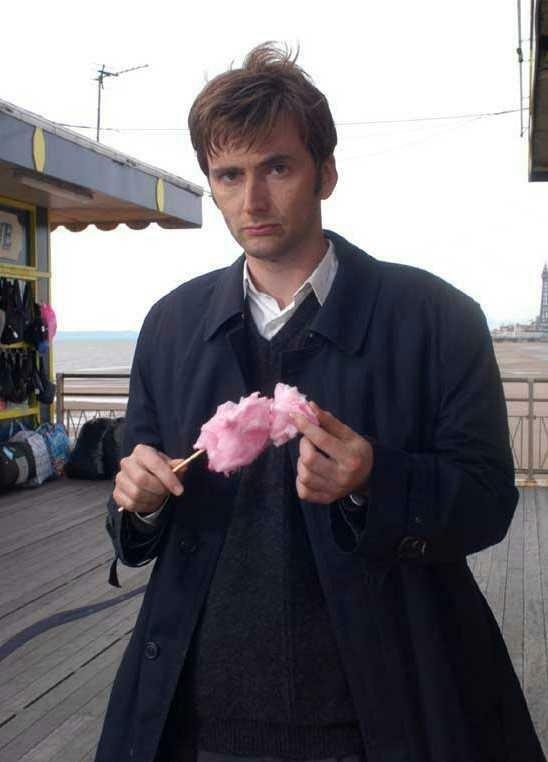 Peter Carlisle played by nerd favourite David Tennant. There isn’t a particularly weak actor in the whole cast but Morrissey and Tennant do brilliant jobs against each other and who you side with will change multiple times throughout the 6 episodes of the series. 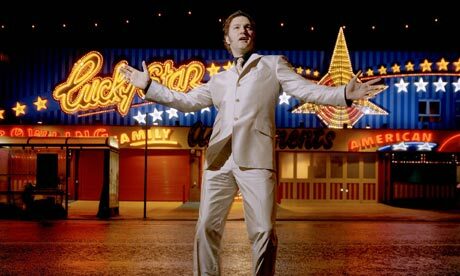 The series takes place in the “Las Vegas of the North”, the one and only Blackpool. It was cool watching the show and being able to spot sights I was familiar with, or point at a particular scene and go “I’ve been there!” It has the sort of witty Northern humour that made Life on Mars so great, and looking back I realise that Gene Hunt even had shades of Ripley Holden in him. The series doesn’t always paint Blackpool in the nicest of lights however, having a seedy place full of drugs and prostitutes. 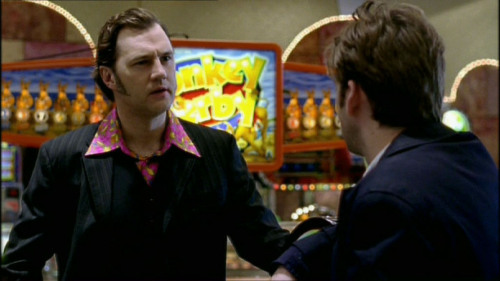 The plot throughout the series is a sort of “whodunnit”, with Ripley getting embroiled in a murder plot when a body is found in his arcade. That’s a very simple explanation however, the interest comes from how this murder affects the characters and tears Ripley Holden’s life to pieces. The main reason for his downfall is D.I. Carlisle who, as well as trying to prove Ripley did it, takes a “special” interest in Ripley’s wife. I mentioned in the introduction to this review that this series is “occasionally musical”, well I wasn’t lying. Admittedly I’m not one for musicals, and this show defiantly fits into the “Musical” genre, but with a great soundtrack performed by two brilliant actors like Morrissey and Tennant, I couldn’t resist. The musical numbers pop out of nowhere and are often rather surreal. One thing they defiantly are is bloody brilliant. I came across this series during the recent run of The Walking Dead, after David Morrissey was cast as The Governor, and I’m so glad I did. The series consists of 6 hour-long episodes but after 1 you’ll want to make time for the whole series. I watched 2 episodes one night and the other 4 the next night because the show gripped me so much. Each episode has roughly 4 musical numbers, including “Don’t Stop Me Now” by Queen, a few songs by Elvis, The Clash, The Smiths and others. I would recommend this series to everyone. It’s a fun musical thriller set in the Las Vegas of the North and is so very deserving of your time.